LONDON- ALL well-established Christian churches face roughly the same dilemma. How can they credibly live out their stated belief in solidarity with the wretched of the earth, when they have inherited so much tangible and intangible privilege, including magnificent buildings (colleges and clerical residences as well as places of worship) and guaranteed access to the high and mighty? If that question has any answer at all, it might be found in individuals rather than abstract principles. One such individual is John Sentamu, the eccentric and rambunctious Ugandan-born cleric who this week announced as Archbishop of York, the second-highest position in the Church of England after the see of Canterbury. Dr John Sentamu will step down on June 7, 2020, three days before his 71st birthday. 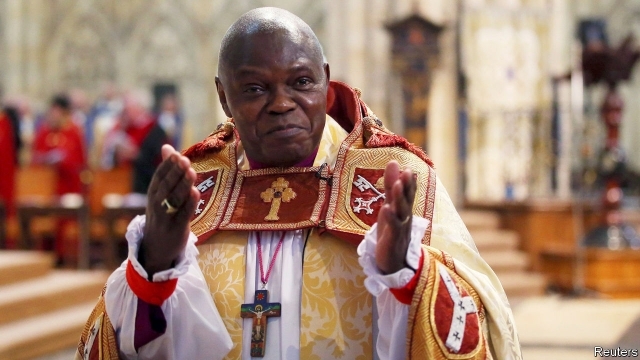 The Ugandan-born clergyman was enthroned as Archbishop of York in 2005 and was granted special dispensation from the Queen to extend his duties beyond the church’s compulsory retirement age of 70. He was the first black archbishop in the Church’s history and the ceremony broke with tradition, featuring drums and dancers. Many are hoping that his retirement will allow the church to take another leap forward by appointing a woman to its second most senior clerical role behind the Archbishop of Canterbury. A Church of England spokesman acknowledged that the prospect was “entirely possible”. Dr Sentamu’s announcement, made on Monday morning October 1, will trigger a lengthy and confidential recruitment process led by the Crown Nominations Commission, Church of England, which will choose from the pool of existing bishops, drawing up a shortlist for interview. That pool now includes 17 women, all of whom have been appointed since the law was changed in 2014 when the Church’s General Synod voted to allow the consecration of women after 40 years of debate and campaigning. Among them is the Rt Rev. 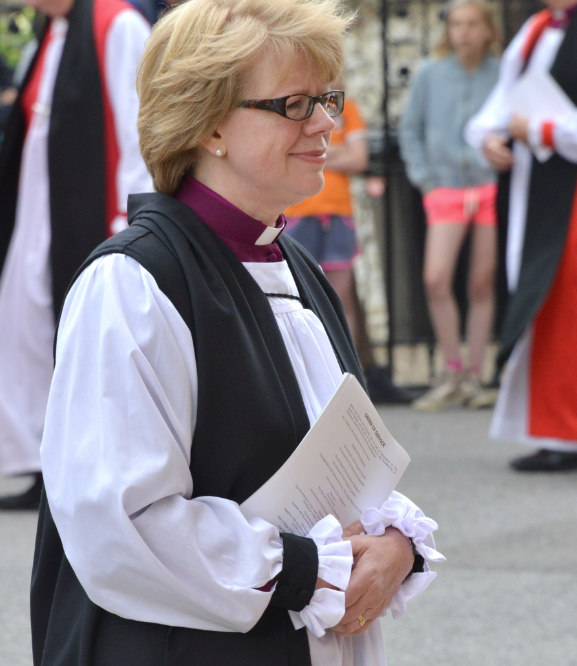 Sarah Mullally, elected as Bishop of London, the third-most senior role in the Church, earlier this year. Bishop Mullally has expressed hope that her appointment would form part of a continuing process of women taking more leadership roles in the church, including archbishops. “The challenge is that people often think that, once you’ve appointed a woman, you’ve dealt with the issue. You haven’t,” she told UK’s the Observer earlier this year. The Rt Rev. Jackie Searle, Bishop of Crediton, paid tribute to Dr Sentamu, who presided over her consecration just last week. “There will be a great deal of thought, prayer and wide consultation before the next Archbishop of York is appointed… and no doubt a great deal of speculation,” she said. Rev Dr Elizabeth Macfarlane, Chaplain at St John’s College Oxford and a campaigner for women’s rights in the Church of England, also welcomed the fact that women were now eligible for the post. “There are senior women who are well able to be really considerable candidates for that role, and I would hope that they would be taken seriously,” she said. Emma Percy, chair of campaign group Women and the Church, said it was unlikely that a woman would be appointed. In a statement, Dr Sentamu said he had decided to announce his retirement now to allow the widest possible timeframe to find a successor. “I am full of joy and expectation to see all that God is doing and will be doing in this diocese and in the Northern Province over the coming months,” he said. The Archbishop, who fled his native Uganda in the 1970s before studying at Cambridge University, has been an outspoken and prominent public figure. In 2007, he cut up his clerical collar live on the BBC’s Andrew Marr show in a protest about Robert Mugabe’s brutal regime. He vowed not to replace it until the Zimbabwean president was gone and just last year, he replaced it on the show, days after Mugabe was forced out. The Archbishop of Canterbury, the Most Rev Justin Welby, said Dr Sentamu’s service was something to “rejoice in with great gratitude”.